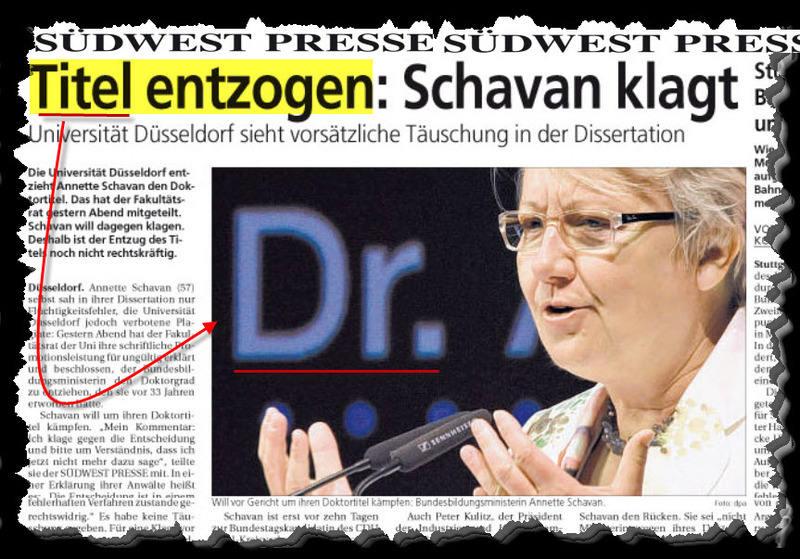 It was predictable long ago that German Education and Research Minister Annette Schavan would lose her doctorate. I myself reported this looming development a year ago. 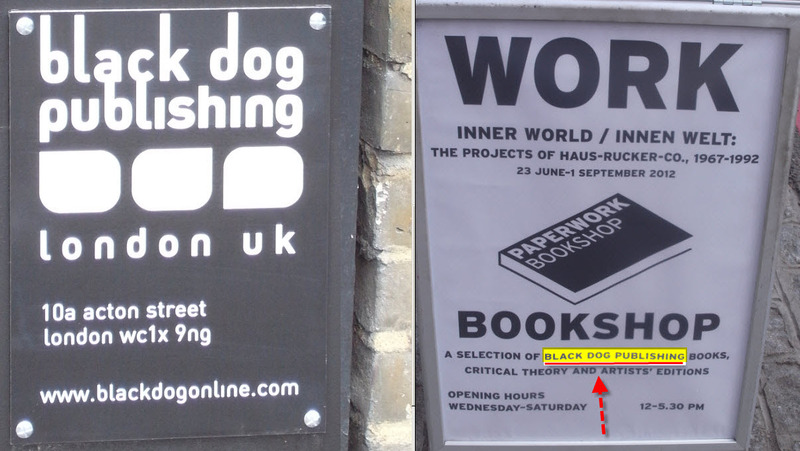 In so doing I have drawn a comparison with another, flagrant plagiarism case that has preoccupied the famous Humboldt University of Berlin. Actually I have nothing to add to the former report, which you will find below. The report contains information that is instructive for all of us - but especially for Annette Schavan herself. It is highly unfortunate that the German minister for research and education is still failing to admit her grave mistake and to shoulder responsibilty - both academically and politically. Germany is back to its favorite new pasttime – a plagiarism scandal. This time the allegations point to the education minister, Dr. (for now) Annette Schavan. The evidence against her was compiled at Schavanplag. The Heinrich Heine University Düsseldorf will now have the allegations checked out by its dissertation committee. A final verdict could still be weeks away. But it’s not too early to say that this is yet another case of serious academic misconduct by a German politician. On numerous occasions, Annette Schavan used other authors’ ideas and formulations without citing her sources. The evidence shows that she did so quite artfully. Instead of copying sentences word for word, Schavan reversed the order of her terms or paragraphs and changed single words to cover up her plagiarism. This is almost worse than just cribbing directly. Call it The Alice Hutchison Method. This is the approach that the author Alice Hutchison used to copy the academic work of a student at the Humboldt University in Berlin. The university’s Commission for Ensuring Sound Scientific Practices and for Handling Allegations of Scientific Misconduct studied the case and found that the evidence of plagiarism was clear. In response, the president of Humboldt University published this declaration. 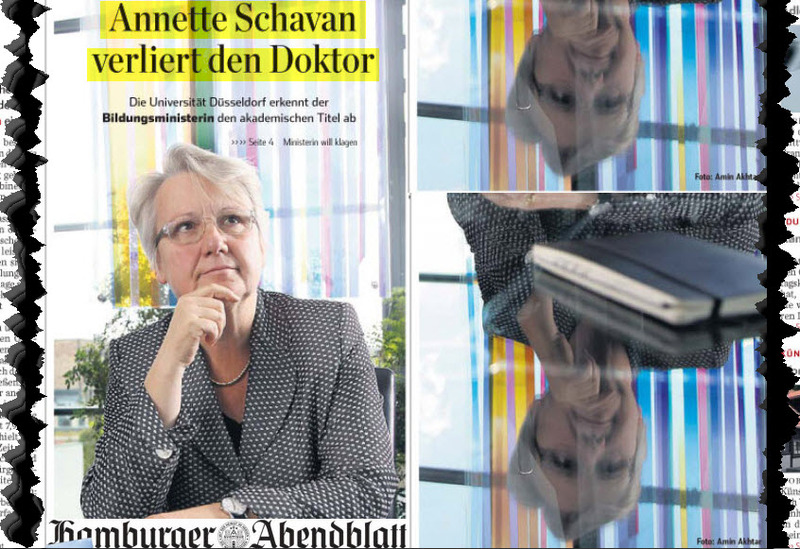 Annette Schavan could have saved her political career by admitting her sins and relinquishing her doctorate, as Florian Graf did. She certainly has had enough opportunities in this season of plagiarism scandals. 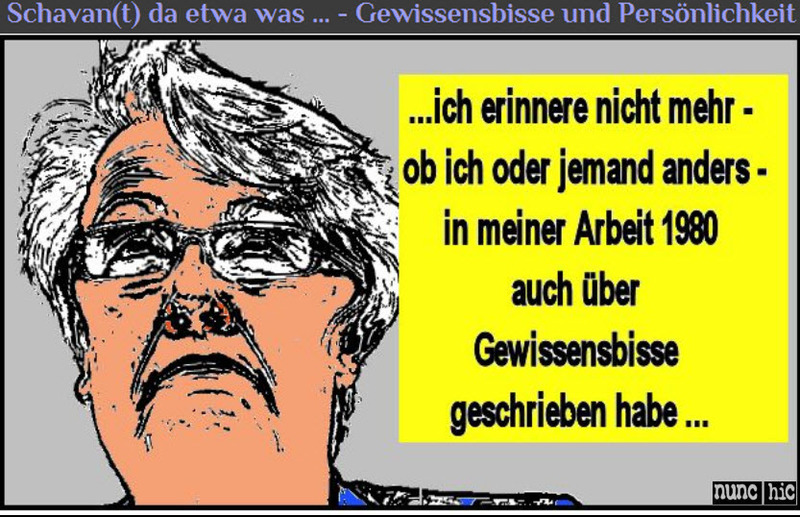 In March 2011, for example, after the fall of former Defense Minister Guttenberg… or after the uproar over Silvana Koch-Mehrin… and so on. 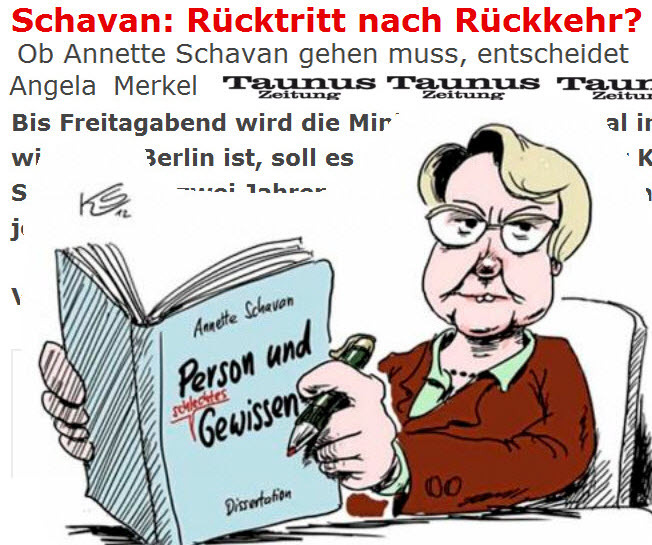 But Annette Schavan is playing the situation like Alice Hutchison, who also remains obstinate and denies everything. The handwriting is already on the wall, however. 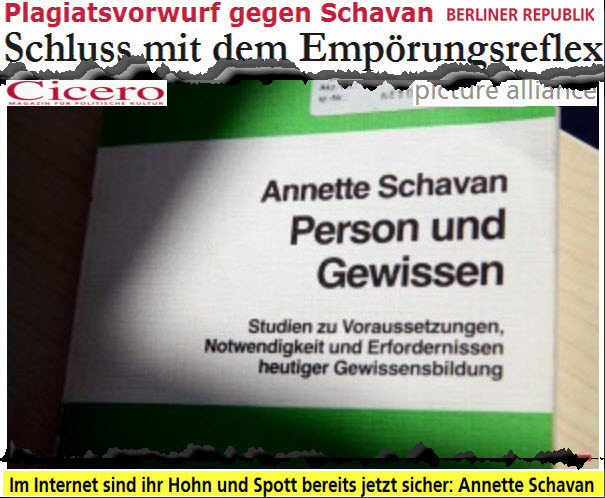 Schavan is no longer credible as a Minister of Education and Research. She will have to resign. The past caught up with Hungary’s president Pál Schmitt – will Duncan McCorquodale finally face his?